Prime Minister Justin Trudeau says an "erosion of trust" between his former top adviser and Jody Wilson-Raybould led to the controversy over the SNC-Lavalin file. Prime Minister Justin Trudeau blamed poor communications and an "erosion of trust" between his former top adviser and Jody Wilson-Raybould for the SNC-Lavalin controversy that has rocked his government. At a news conference Thursday in Ottawa, Trudeau said he tasked his staff members to engage Wilson-Raybould on the file while she was justice minister to stress the potential impact of her decision. In hindsight, he said, he should have reached out "personally" on the crucial matter instead of dispatching staff. He said an "erosion of trust" developed between his principal secretary at the time, Gerry Butts, and Wilson-Raybould. Trudeau confirmed Wilson-Raybould told him on Sept. 17, 2018 of her decision to not intervene by ordering a remediation agreement for SNC-Lavalin as an alternative to criminal prosecution. Trudeau said he asked her to revisit that decision and she replied that she would. The prime minister said his officials reached out to Wilson-Raybould in subsequent months because he believed she was still "open" to other options on the SNC-Lavalin case. Trudeau said Wilson-Raybould never told him she believed those contacts amounted to inappropriate pressure. "She did not come to me, and I wish she had." While Trudeau's statement was not an apology, he acknowledged he could have done a better job of fostering open dialogue with his minister. "That is something I'm having to reflect on as a leader, and that I'm looking forward to improving on as we go forward," he said. Trudeau acknowledged that, during his Sept. 17 meeting with Wilson-Raybould, he pointed out to her that he was the MP for Papineau — a riding in Quebec, where SNC-Lavalin is based — but denied he was pressuring her to further partisan interests. He said Canadians can be assured the integrity of federal institutions and judicial independence was never compromised. The prime minister said the file is a complex one, because SNC-Lavalin is a major employer and creator of spinoff jobs now facing serious criminal charges. "These are the types of situations that make governing a challenge. And when there's an erosion of trust within the people involved, it further complicates what is an already difficult decision for the attorney general," he said. The controversy has generated much debate about whether the roles of justice minister and attorney general — typically filled by one person in Canadian federal cabinets — should be split to ensure the independence of the attorney general is never compromised by politics. Trudeau said he has asked for a set of external opinions on the dual role of the justice minister and attorney general, and on the operating policies for cabinet ministers and staff related to dealings on judicial matters. "Ultimately, I believe our government will be stronger for having wrestled with these issues," he said. Meanwhile, the Public Prosecution Service of Canada (PPSC) this morning tweeted this statement: "Prosecutorial independence is key to our mandate. Our prosecutors must be objective, independent and dispassionate, as well as free from improper influence — including political influence." A PPSC spokesperson said the tweet was prescheduled for posting and had nothing to do with the SNC-Lavalin matter. Trudeau's statement comes a day after Butts testified before the Commons justice committee on his role in the SNC-Lavalin affair. Butts also blamed the crisis engulfing the government on a breakdown in trust and communications that led to the resignations of two top cabinet ministers. Wilson-Raybould and Jane Philpott — who stepped down as Treasury Board president in the wake of Wilson-Raybould's resignation as Veterans Affairs minister — remain in the Liberal caucus. Wilson-Raybould was made Veterans Affairs minister during a cabinet shuffle in January. Butts presented a version of events starkly different from the one offered by Wilson-Raybould, who was attorney general at the time she was dealing with the SNC-Lavalin file. Wilson-Raybould said she endured intense political pressure and veiled threats to overturn the director of public prosecution's decision to proceed with the criminal prosecution of SNC-Lavalin. The Quebec-based international engineering and construction company faces bribery charges related to contracts in Libya. A conviction could lead to a 10-year ban on bidding for federal contracts. Butts insisted all engagements with Wilson-Raybould were above board and a normal part of government operations. 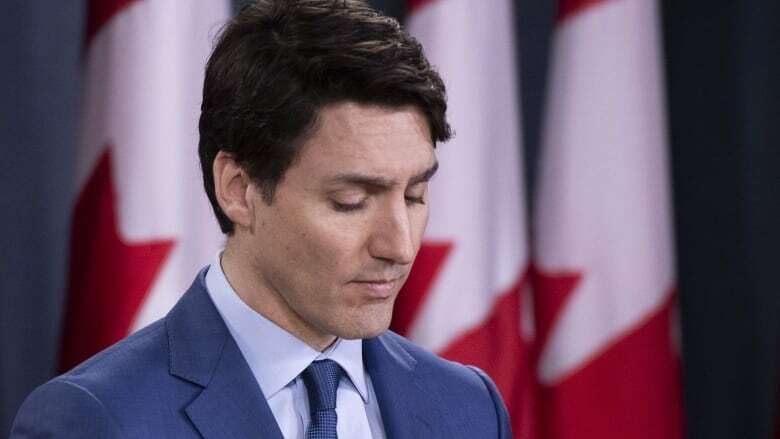 CBC News reported that Trudeau huddled up for high-level discussions Tuesday to decide on next steps in the ongoing SNC-Lavalin controversy. On Thursday, he was asked why he didn't leave Wilson-Raybould in the justice portfolio when he shuffled his cabinet Jan. 14 and if he regretted moving her to Veterans Affairs. "As we look back at the past weeks, there are many lessons to be learned, and many things that we would have liked to do differently, and that is certainly part of the reflection we need to have going forward," he said. "But in terms of how we move forward and how we make decisions on who and where within cabinet, those decisions are ones we take seriously, and we always look to move forward, not backward on that." Scheer said Trudeau's statement was an attempt "to justify and normalize corruption." "The real erosion of trust in this whole affair is between Justin Trudeau and Canadians. His is a government that can not be redeemed. It must be defeated," he tweeted. In a news conference, Scheer called Trudeau's news conference a "phony act of fake sincerity" and repeated his call for an RCMP investigation and Trudeau's resignation. "Justin Trudeau would like Canadians to believe that all of this took place simply because different people had different experiences of events, but there's something that Justin Trudeau simply does not understand," he said. "The truth cannot be experienced differently. There is such a thing as right and wrong, and real leaders know the difference." Scheer said Trudeau isn't able to manage his own office, let alone the country. Singh also weighed in on Twitter, saying today's statement offered no apology or accountability — only Trudeau blaming others. "It was the PM discrediting the detailed testimony of Canada's first Indigenous woman AG," he tweeted. "The erosion of trust is with Canadians. We need a public inquiry." Speaking to reporters after a town hall event in Toronto, Singh said Canadians believe Wilson-Raybould's testimony and her detailed account of events. "Canadians had hoped maybe Mr. Trudeau would apologize for the way Ms. Wilson-Raybould was treated, maybe apologize for the pressure that was improperly placed on her, but we didn't see an apology, we didn't see an admission of fault," he said. Singh repeated his call for a public inquiry to "get to the heart of the matter."